NOTE: We can also produce them according to your dimensions or requirements. 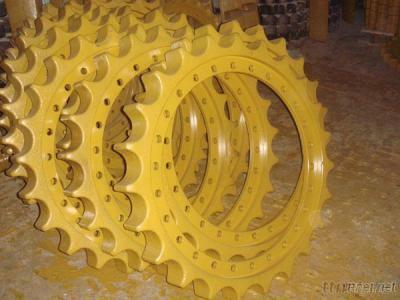 Undercarriage parts for crawler crane, excavator and bulldozer, including track chains, track shoes, swamp shoes, sprocket & segment, track roller, idler, carrier roller, bolt & nut, etc. Which can suitable for many model, such as KOBELCO, HITACHI, HYUNDAI, LIEBHERR, KATO and so forth brands. At the same time, we can customize track shoes, swamp shoes for you, according to your requirements or drawings.